Insurance Quotes | Beacon Insurance Agency Inc.
Beacon Insurance can help you manage the risks you face every day. Allow us to represent you, your business interests and your family in the competitive yet confusing insurance marketplace. Beacon Insurance is an independent insurance agency providing clients with industry leading risk management and insurance products. We offer a comprehensive risk management program determined to provide right-sized coverage and security for businesses and families. We provide industry-leading property, casualty, life and health coverage delivered through diligent and trustworthy professionals. We all mitigate risk in our lives every day. Some of this risk we choose to cover on our own by being careful and making sound decisions. Other risks we choose to pass on to insurance companies, holding them responsible for our unforeseen accidents and concerns. In many cases, clients do not fully understand their current risks, type of coverage they need or the types of products available. That's where the professionals at Beacon Insurance can be incredibly helpful. Working with an independent agency is a superior way to obtain property, casualty, life and health insurance products and risk mitigation tools. 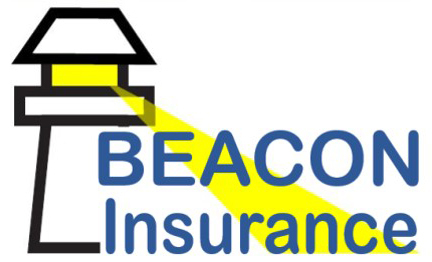 Your Beacon Insurance agent can help you get the coverage you need at a fair price. We are not limited to a single insurance company or product. By being independent, our only alliance is to you... fully addressing your risks and your needs. We do more than sell insurance products. We get to know you. Most of us can easily spend 30 minutes selecting a great pair of shoes. Why not commit to spending 30 minutes with a Beacon Insurance professional to help you select a great risk mitigation and insurance plan for you, your business interests and the family you love? Contact us today. Serving California, Illinois, Indiana, Iowa, Ohio, South Carolina, Utah and Wisconsin. Beacon Insurance Agency Inc. | Website Development by EZLynx® • Copyright © . All Rights Reserved.